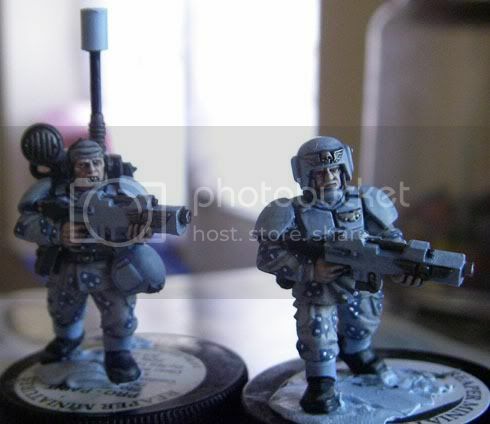 Apoc's Hobby Blog: First squad finished! woohoo! Finally finished the 1st squad! although looking at the pics as i put them on here, i realise i forgot one chap's face but that will take seconds to resolve once i finish here. May go city fight or even just plain sand. Next up is my 1st heavy weapon team which is a nice break from the squaddies. I don't have any pics at the moment but will dig out what i had been working on and take the snaps shortly. The smooth colors and minor conversions really make this squad shine. It's good to see inspiration shining through even in the poor bloody infantry. 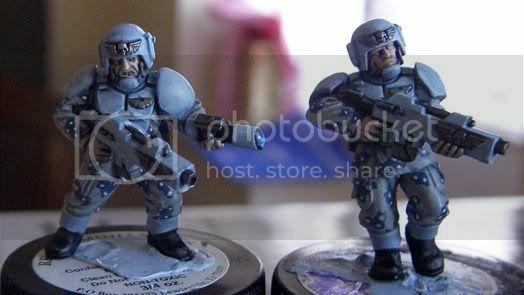 I'm sure many IG players would love it if you would do a tutorial on your paint scheme, I know I would.